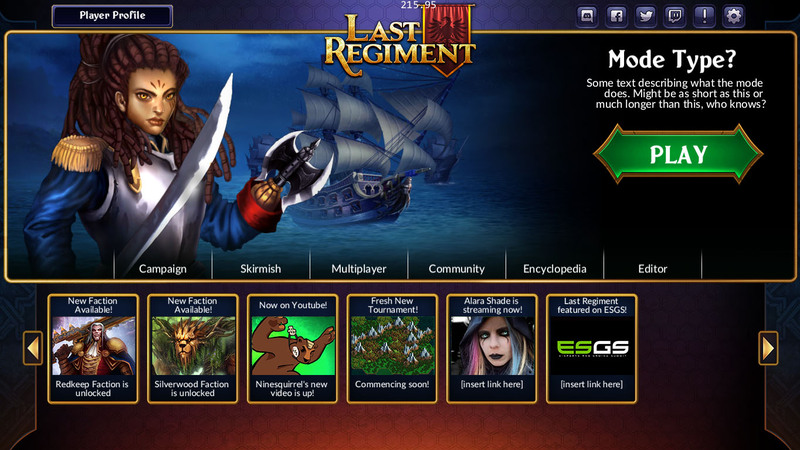 Starting this week’s dev blog with some fun news: we’re bringing Last Regiment to the game conventions! PAX South – Happening on January 2018 at San Antonio, Texas, this would be our great reveal of the game to the worldwide press after all the improvements based on the feedback we would be receiving during ESGS. Most people don’t see how much work goes on behind conventions. 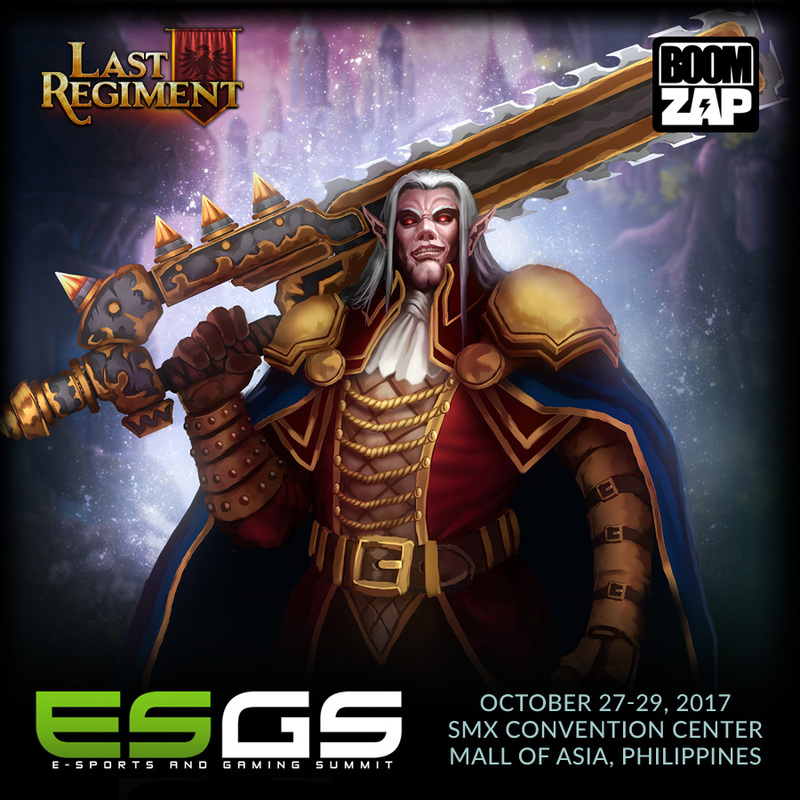 Here’s what we’re planning for our booth in ESGS. We had one of our artists come up with the design for the panel walls and fascia boards, and we had to keep in mind where we wanted to place our tables and equipment. Usually we bring our own banners and have to worry about where to place them in the booth that’s not blocking anyone, but luckily the organizers at ESGS allowed us to have our design on the wall itself. It’s also more convenient for us that we don’t have to make the materials ourselves and haul it over from wherever we had it made. It can also be very costly. The other thing you have to think about is: what do you want to achieve at the show? Since we’re not selling the game yet, what do we want the players to do? For now, it’s all about the mailing list. The goal is to have them sign up, so we can let them know when the game is ready. Since most people are not willing to give out their personal info, we have to find creative ways to make them interested. There are also some dangers in showing your game at a convention, especially when you still have a very rough build. The media is not that great in knowing how deep a game is in development, and may not be as forgiving on what they see so far. There is a minimum bar of quality that you have to hit, but you have to balance it out against showing it too late that you don’t have enough chances to make changes. If you wait until it’s finished before letting people know about it, then you miss out on the ramping up time where you can get them involved in the development. You have to ask yourself: is this game good enough to be shown but still early enough to allow me make meaningful reactions based on feedback from show? However, if you want to be at a convention like PAX, you have to reserve a booth around three months in advance. We don’t know what shape the game is going to be by then, so it’s almost like a bet if we’re ready to go by then or not. Developers would like to think that they know, but they don’t know. So there’s a chance you’ll be at a show with something that’s not yet ready for public consumption. That’s the struggle not just for us, but for many developers. 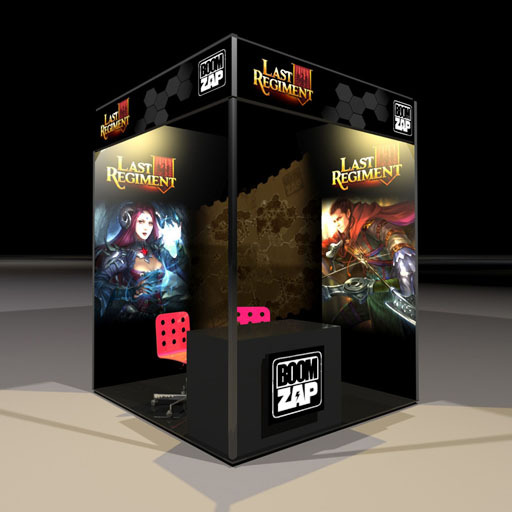 You also have to hope that you are surrounded by other great games in the area where you are in, since this increases the chances of press and convention-goers going to that area and seeing your booth. 1. 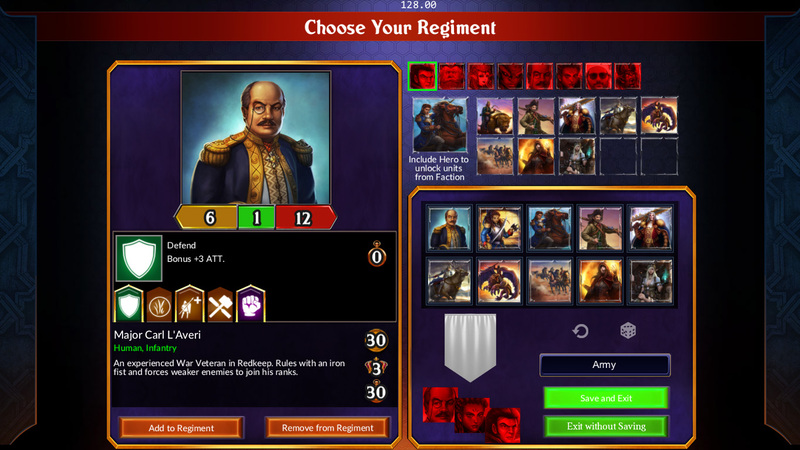 The Choose a Regiment screen has a revised UI, but still uses some placeholder art. 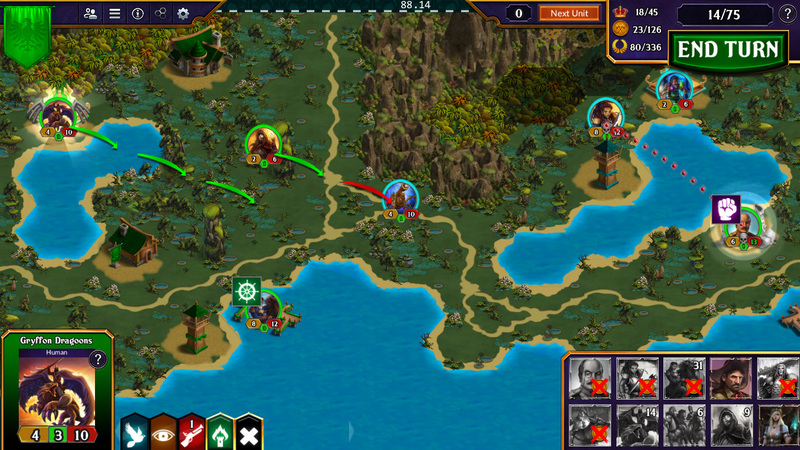 The faction icons are now located in one row on the right, and you’re now able to rearrange the units you’ve selected. The first one on the list would be the first one to be automatically summoned at the beginning of the game. 2. 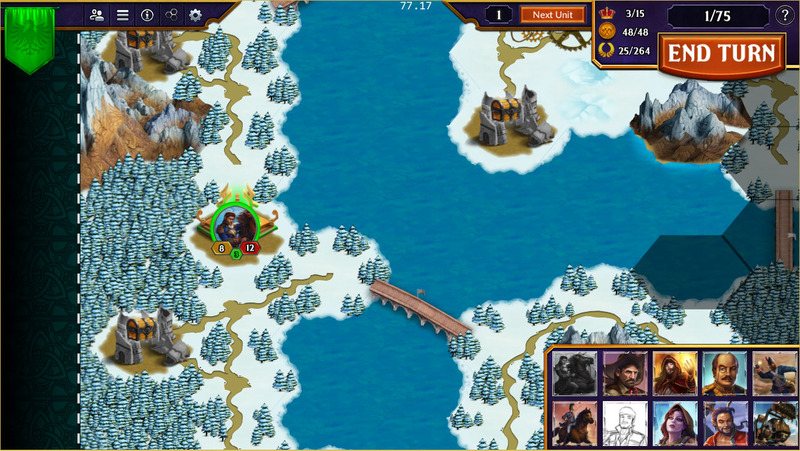 New borders have been added, so maps now have a solid edge. This means some of the hexes are cut in half, making them not reachable. You can only go to spots next to them. 3. On the regiment bar, units which you can’t afford yet are now crossed out. 4. We’ve added in the concept of heavy vegetation killing the line of sight. We still need to test out if this is fun or not. 5. Before building a structure on ruins, you can choose to explore it first for a chance to earn resources… or experience other bad things. 6. 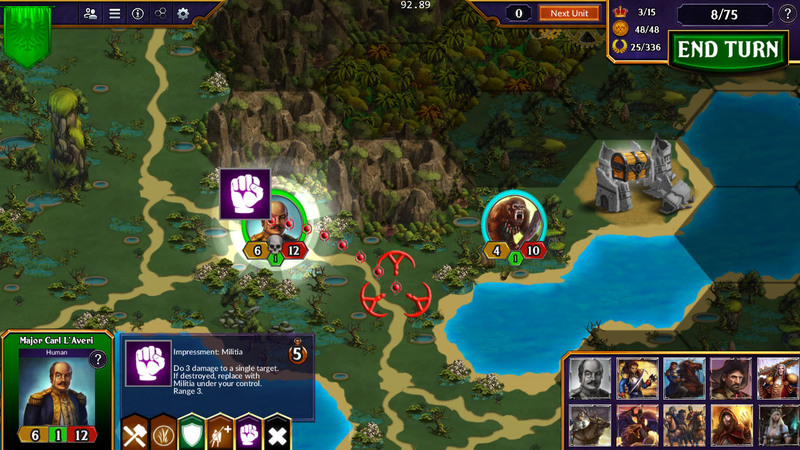 Area-of-effect powers can now be placed on a hex, instead of restricting them to enemy units, which means you can anticipate where your opponents will move next and attack them on that spot. 7. Several character portraits are being revised. This includes our main character, Olivia. Here’s what she looks like now on our main menu. By next week she’ll be wearing something new! We’ll share her new portrait on the next dev blog, and keep you posted on the progress we’ll be making. Previous PostDev Blog #11 – Challenges in Game DevelopmentNext PostDev Blog #13 – New Olivia and More!